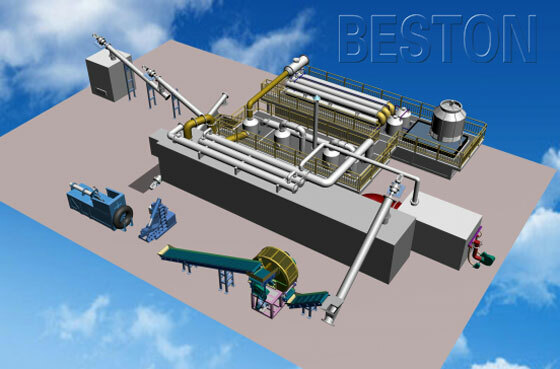 The medical waste pyrolysis plant manufactured by Beston (Henan) Machinery Co., Ltd. aims at converting all kinds of medical waste into useful resources, such as fuel oil and carbon black. The oil made from medical waste can be widely in industries such as steel and iron and boiler factories, ceramics, power or chemical industries etc. Carbon black can be used for making construction bricks, or used as fuel. To meet different customers’ demands, we have designed four models for customers to choose, such as BLL-16, BLL-20. The BLL-16 belongs to semi-continuous operating plant, which can work for 3-4 shifts per day and then its reactor needs about 1 hour to cool down. While the BLL20 is all fully-continuous operating plant, which can work continuously for 24 hours per day without a stop. As a professional manufacturer in China, we promise you that each set of plant is guaranteed in the best quality and the most reasonable price. 1. Automatic feeding and discharging system, which can greatly save time and manpower. 2. All parts are well-sealed, so air leakage can be avoided. 3. We adopt the latest heating method, which can not only save fuel, but also prolong the life span of the main reactor. 4. The exhaust gas will be recycled to be used in the heating process, which can save fuel and reduce pollution. 5. 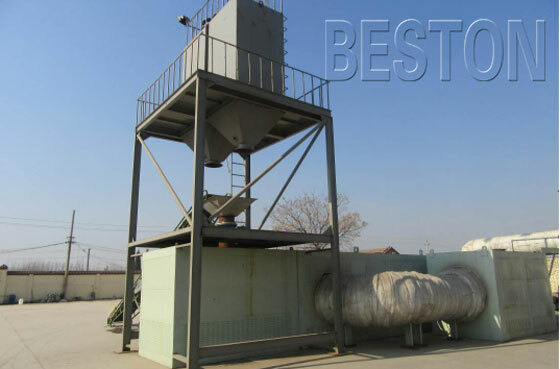 In the dedusting system, three specifically designed steps(water washing, water spray, ceramic ring adsorption) are used to dedust the hot smoke, which can make sure the released smoke is pollution-free. We can also provide you the oil distillation plant, carbon black processing plant to help you further process those end products. Contact us to get more details.